The start: opening ceremonies are always nice I am thankful that we live in a country/state/city and are part of something were singing the National Anthem and saying a prayer before we go out is always the norm. The night before in La Port there was a tragic accident were lives were lost and we had the opportunity to hold a moment of silence in honor of them. 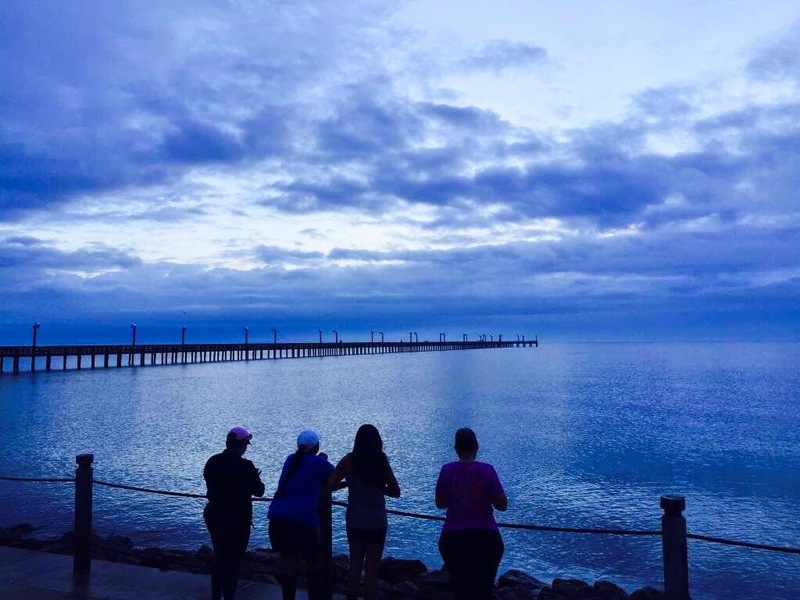 I love that I am a part of something that is bigger than little ole’ me – I love being a runner. 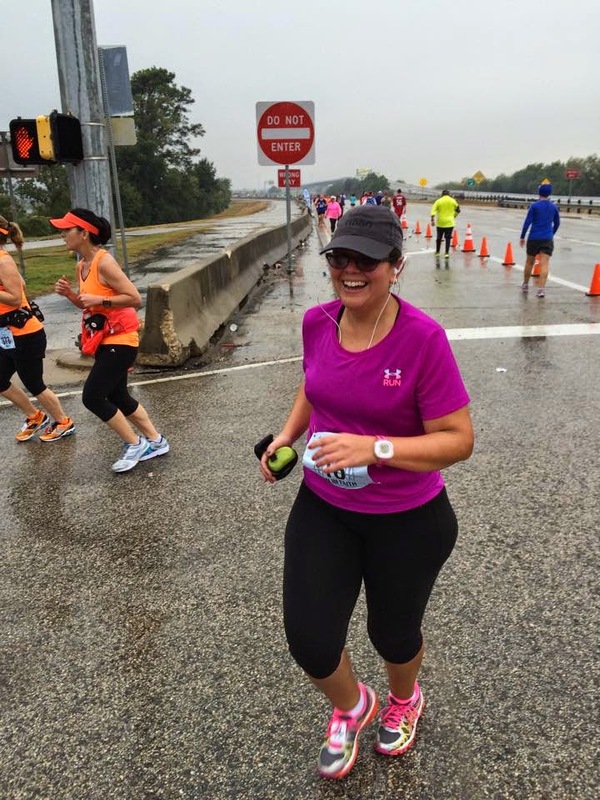 Mile 1 & 2 – Easy, a little humid but the temperature felt just right and I started off strong. In all the other bridge runs by mile 2 we were getting to the bridge… Mile 2, no bridge. For the first time I didn’t look over course map like a crazy person, I guess I should have! Being that this was an out and back route, I was kept guessing the first few miles! Mile 3 & 4 – mile 3 was deceiving I could see the bridge in the distance I thought for sure we were headed right for it…until everyone started turning!! Ahhhh! Where are we going now? **okay here is a small disclaimer for what I am about to write – I am a girl and I have catty like feelings from time to time… just saying** in mile two I noticed a girl that was running ahead of me – she was fit and trim and pretty, she was running with her long flowing hair down, running tights, cute shoes and sports bra. Ahem. By mile three she would pull off to the side hold her side, gasp for breath and then take off running past me (us) and then pull off to the side again. She started pulling her hair up in a ponytail and a guy that was running with her making sure she was alright. Then she would take off full speed ahead passing me again. In mile four I passed her as she pulled over again to fix her hair and saw her again at the finish as hse crossed abobut 20 minutes after I finished. Somehow the girlie in me felt as though all is right in the world- I train to run most people see me and can’t believe that I can run 13.1 miles oh but I can and I will. The rest of mile four had an extra pep in my step even when we came to the feeder road that went down (underpass) and back up before we even got on the bridge! Mile 9 & 10- Straight up we go, this bridge was tough, there was a gradual climb and then it just boom has a steep climb, at this point I give a shout out to my girls at the gym (Fit4Her) the muscle here was not running muscle it was from the squats and lunges I do indoors and off the track. I started power walking for the steepest part and I was booking it – it felt like lunges straight up! It got me to the top and again downhill we go baby! Mile 11 & 12- Off the bridge and my pack was right there within just a few strides and in my head I know one thing – less than 3 miles to go. I knock out more than that three times a week every week. It’s time to wrap this thing up. 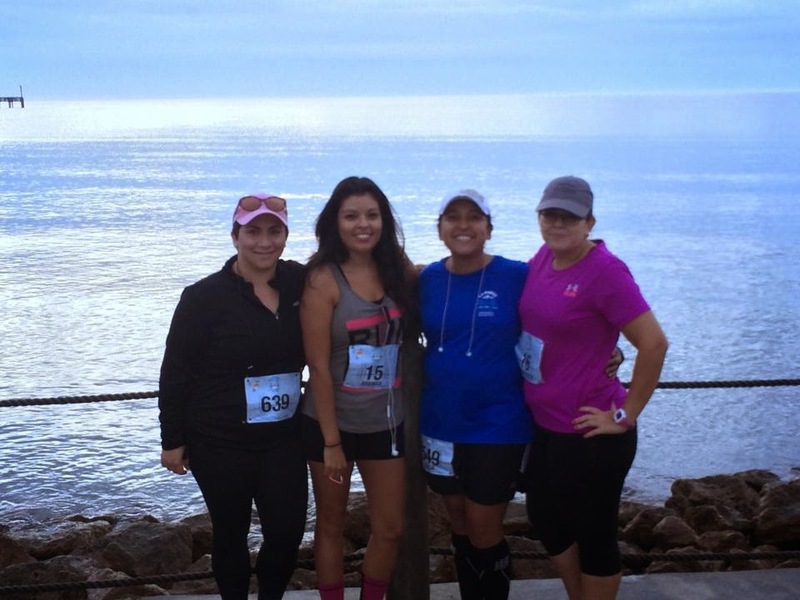 Mile 13.1 – I came up to one of the girls that had been with me the whole time, she was walking – Me: “Come on!! We are almost there! !” Her: “I’m coming, I’ll be right behind you” Me: “Yeah you will -COME ON! !” A few minutes went by and I slowed to a fast walk I told myself just catch my breath and run it till the end and there she was next to me. HER: “We are almost there! !” I nodded…took a breath ME: “Are you ready?” Her: “Let’s do it” – and we did. Highfives, hugs, medals, and a big thank you to her for pushing me and a thank you from her for doing the same. Have I ever told you I heart runners?? Because I do, we know one thing – the struggle is real but worth every step. Four of us ran the race that day, if you ask each one of us to recap for you, you would hear four different stories – Alma had a great run finished in record time beating her previous ½. Guada felt this one was a tough one on the second time up she wanted to throw in the towel (the beer at the end always makes it up to her though!!). 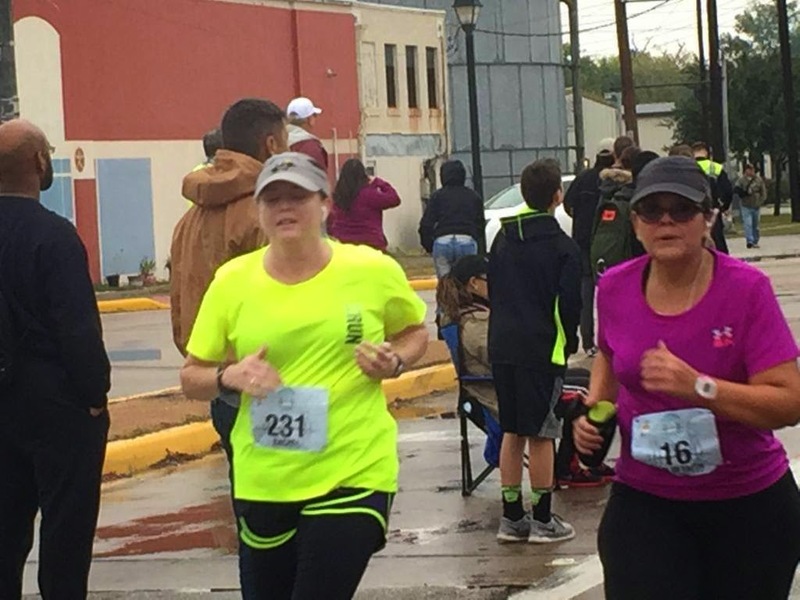 Clari had it toughest of all, hurting her knee towards the end of the run, she is recovering now and awaiting the green light from the Dr. so she can do her 3rd half in December. Bottom line – we love the run. 26.2 – we have our eyes on you… coming soon! LOL!!!! !